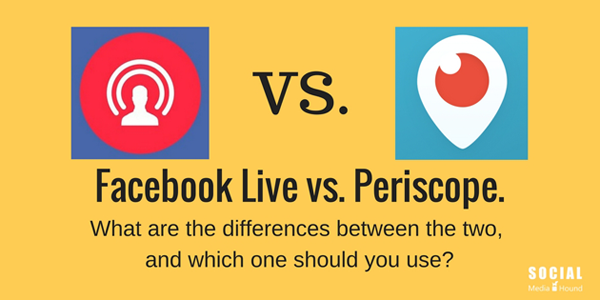 Facebook Live vs. Periscope: What’s the difference? There are many live streaming apps out there but Facebook Live and Periscope are leading the pack at the moment. There are some major differences though, and if you’re wondering what they are, this article will help. I’ll go over some of the main differences and briefly discuss why you might want to use both. Many of us, especially people with a business, have been on Facebook for quite some time and already have a following. Because of this, going live allows us to connect on a deeper level with these people, and build on established relationships. Periscope is an excellent way to find, and start building relationships with people we didn’t know previously. Plus, the integration with Twitter allows active Twitter users to develop relationships with followers there as well. Currently you’re able to broadcast directly from the Facebook app on your phone or mobile device, but the ability to do so from a browser is supposedly coming soon. It’s not always possible to know who is watching unless viewers comment in the chat. Facebook notifications let you know when someone you’re following (person or page) goes live. But they’re glitchy and don’t always work. 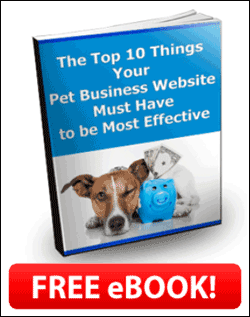 You have the ability to go live on your personal profile, your business page, or in groups. Video quality is normally quite good. Facebook Live does not offer the option to do a dual (or split-screen) broadcast (yet). However, split-screen broadcasts (for interviews, for example) can be done with the use of third party apps such as Wirecast, Huzza, BlueJeans, OBS, and others. Broadcast from the Periscope app, which can be accessed either via the app directly or through the Twitter app. Available for phone and mobile devices only. As viewers arrive, their usernames appear on screen to let you know who is watching. By default, when you follow someone, you will receive a notification when they go live. This can be turned off for specific users. Broadcasts can be automatically sent to Twitter so your followers can watch from there. Private broadcasts can be done if the broadcaster and viewer follow each other. In order to do a private broadcast, you must select the username of the person you wish to see the broadcasting. If you want to do broadcast privately to a group of people, you must select them one by one – there are no groups as there are on Facebook. Periscope does not offer the option to do a split-screen broadcast. For this type of broadcast, most people do a Zoom, Skype or other split-screen session on their desktop or laptop and focus the phone camera on the browser window. Broadcasts can be saved, deleted, or set to expire on a certain date. Facebook videos can easily be embedded with the embed code provided for each video. Broadcasts can be saved on your device or set to save on your Periscope account. Broadcasts that are saved to your device do not include hearts or comments. If you have your broadcasts posted to Twitter, you can embed the tweet containing that video. 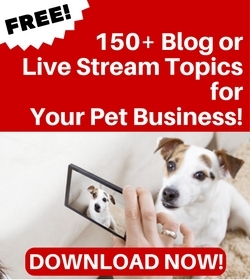 You cannot embed videos directly from Periscope. Viewers are able to comment, and use Facebook reactions, while the broadcast is live or on the replay. The lag time on Facebook Live is problematic. During a live broadcast it can take as much as 30 seconds for the broadcaster to see a comment by a viewer. Viewers can tap reactions repeatedly. However, if tapped too often, Facebook may give you a warning to slow down or they will take the option away from you. Contacting the broadcaster is normally very easy to do since it’s done from a profile, page or group. Viewers can only comment during a live broadcast. They can tap for hearts during a live broadcast or on the replay. The lag time on Periscope is minimal and allows for almost instantaneous conversation between the broadcaster and viewers. Viewers are able to tap for hearts as many times as they want, although Periscope does not record all hearts. If the broadcaster’s Periscope and Twitter usernames are the same, it’s easy to find someone on Twitter and contact them there. The only way to contact someone directly through Periscope is by doing a private broadcast, which can only be done if both people follow each other. If you want to address another viewer by name in a chat, you have to type the person’s name, then the comment. Since it’s Facebook, people can continue to carry on a conversation even after the broadcast has ended. Viewers are able to watch and interact on mobile devices or through a browser. Viewers can easily chat directly with one another by tapping a username and typing a comment. Viewers can only interact (comment and tap for hearts) on the Periscope app. People can watch Periscope broadcasts from Twitter, but cannot tap for hearts. And if they comment, those comments will appear on Twitter, not the Periscope app. Facebook currently gives live video a boost in the algorithm. This means that while you’re live, Facebook is showing your video to more people in the feed. After you’re done, and the video is available as a replay, it does not get the extra boost. Facebook Live videos done on a page can be put into play lists, while Periscope replays cannot. Both apps provide analytics so you can get an idea of how your broadcasts are performing, but Facebook Live provides more detail than Periscope. Periscope has had a problem with trolls. Trolls are people with nothing better to do than come into a broadcast and type off-topic, rude, or abusive comments. It’s easy enough to block them, but they can be annoying and disruptive to the broadcast. There’s no absolute right answer to this question. Facebook Live and Periscope both have their pros and cons, but are very much worth the effort. Having an active presence on both platforms can be beneficial, and something I encourage my clients to consider. Taking into account the sheer number of people who are on Facebook, and the fact that most of us already have a presence there, it makes sense to use Facebook Live. And, since they’re giving live video preferential treatment in the news feed, now is the time hit the “Go Live” button. If your goal is to reach out to people you don’t know, or more importantly, don’t know you or your company, Periscope is an excellent option. The fact that Periscope integrates with Twitter is a big plus too. It may not be as big and powerful as Facebook, but Twitter is well established with a big user-base of its own. Whether you decide to use one or the other, or both, if you have a business it’s important to start using live video as part of your marketing efforts. Do you broadcast on Facebook Live or Periscope? If so, which do you prefer and why? Need help getting beyond the basics of live video? Contact me or sign up for my Live Stream Jumpstart program. VERY nice. I was just in the process of selecting. Thanks for making it easy. Appreciate this. Just what I needed to read! Can the preferences eg delete, expire or keep be set for each individual recorded live?! Or is it applied to all of them? How long are records able to be on either? Thank you!